This is a guest post from one of my bestest friends, Tracy Lynn, who has helped many families revamp their grocery budgets. 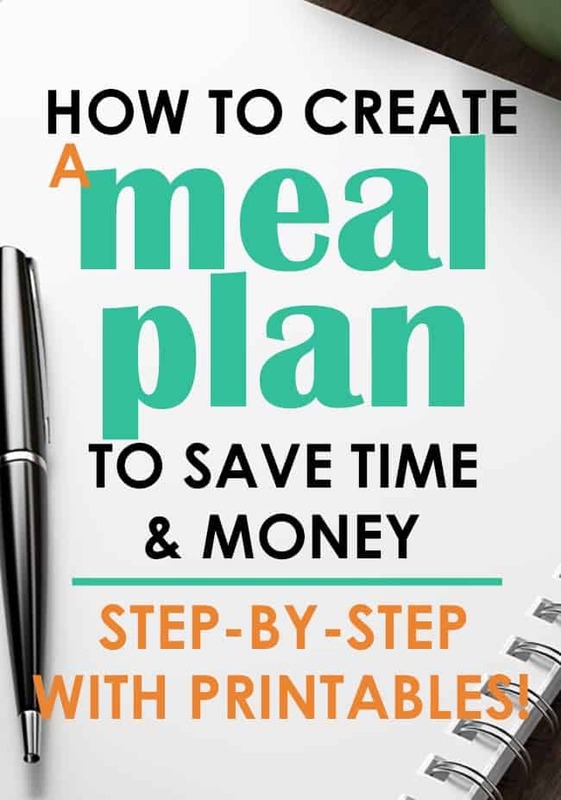 She teaches folks how to save big money with easy and simple tips (like meal planning!) from the kitchen to the store and everywhere in-between. You can find her hanging out at her blog simplelivingcountrygal.com. Who doesn’t love saving money AND time? One of my favorite money saving and time saving tips, (but the one that gets the most eye rolls) is meal planning. It is super simple to do, takes just a short time to create one and will save you not only time but money. Surprisingly more money than you think. I’ve included my free meal planning template here for you! To be honest, I am not sure why so many folks fight this step. Let’s just say without a meal plan my life would be a complete mess. Okay, maybe that was a bit dramatic, but hear me out. 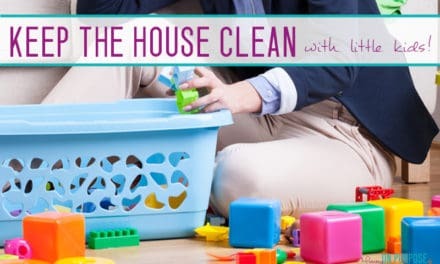 You have been home all day with the little ones running from room to room. You are exhausted and just want a rest, but you need to get dinner on the table. You have no ideas, zero energy and to be honest your brain is mush at this point. You just want something simple, quick, and easy to clean up. You finally grab a frozen pizza from the freezer and turn on the oven…..again. You had a hard, full day of work and a surprise late afternoon meeting. You are just now literally running out the door. You need to pick up your girls from dance class and you’re late. On your way home they remind you of their school project that is due, of course, tomorrow. You now need to stop and grab art supplies. Soon you are on your way home and panic, you forgot all about dinner! Oh well, you will just have to pick something up…. you simply do not have time to cook right now! What a good day so far, you got so much done. The laundry is all caught up, you even finally got to the bills just in time to avoid another late fee. You are just getting ready to take a minute to put your feet up and BOOM. Kids come rushing through the door. Ugh, its 3 o’clock! Where did the time go?? One of your kids announce they need 2 dozen cupcakes for school tomorrow, you sigh. You have just an hour to get homework done, bake cupcakes and head out for soccer practice. What about dinner? Who has time to come up with a meal now, fast food will have to do. If any of these situations sound familiar then good! You are in the right place. I am going to help you fix the chaos that always seems to hit like clockwork at dinner time each and every night. It’s an old school idea that fits perfectly into family lives today. To make things super simple, let’s break this all down into steps. Remember this is meant to not only save you time and eliminate dinner stress but save you big money too. When you have a meal plan in place you are not rushing out for takeout or fast food. When there is a plan you do not need to stop at the store to pick up an ingredient only to leave with a cart full of food. Nope, there will be no more of that. Now you will have a plan, a system in place to fix it all. 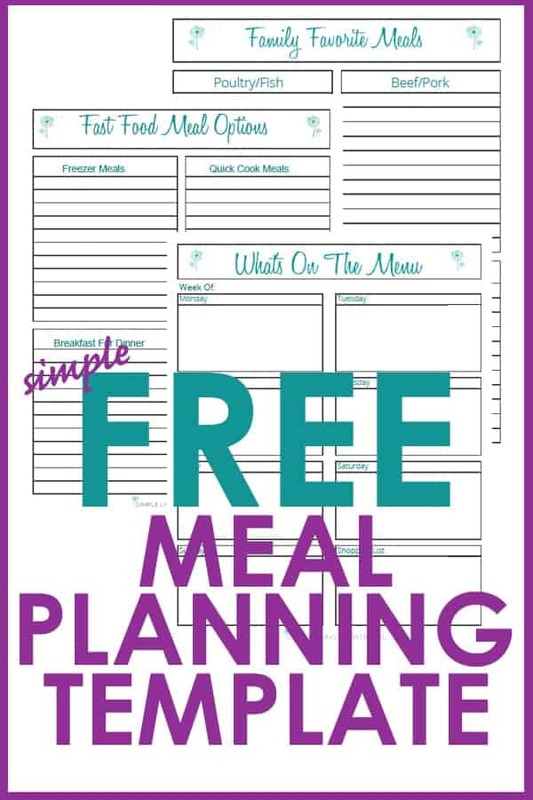 First, grab these cute printable free meal planning template, to keep yourself organized! Before you do anything, you need a good supply of successful meals. Meals that everyone in the family loves. There is no sense making dinner if half of your crew won’t touch it. Make it easy and cook dishes everyone will eat. If you can, set up a family meeting. Sit everyone around the table and tell them you are looking for dinner ideas. Let them know the sky’s the limit! Begin to make a list of all the dinner ideas your kiddos come up with. You may have to gently steer your younger kids in the right (healthier) direction so you do not have 10 meals of chicken nuggets and macaroni and cheese. Our family would meet every 6 months or so for an update. It is fun to hear the meals grow as your children do. My one son who always yelled out PIZZA at the top of his lungs, later changed his pick to Shrimp Alfredo and there he stayed for years. Don’t panic if your crew insists on cereal as a meal option. There is nothing wrong with that! Cereal, toast and fresh fruit is a super simple and healthy meal choice to have on your list. Now that you have a good list (don’t forget to include mom and dad’s) let’s sort them a bit to make things even easier. Take a sheet of paper and section it off into 4 sections. If you have a lot of dinner ideas you may want to use more than one sheet. Take all of your dinner ideas and sort them out. Take this opportunity to add in any dishes you see that are missing. You simply want a good list of dinner options that you can get your hands on fast. This sheet will be gold so keep it in a page protector and front and center so you always know where it is. Before we dive head first into menu making there are a few things to remember. Know your family’s schedule. I suggest you grab your calendar (or calendars) and put it right where you can see it. Do not pick a meal unless you check your schedule first. You will want to match easy dinners to busy nights. This is the key to making this system so crazy awesome. Double check your pantry. Before you start writing meals down make sure you have the ingredients first. We want no last-minute trips to the store. Remember this is supposed to save you time, so only schedule dinners you have the ingredients for. Tip: Do you have some but not all of the ingredients you need? 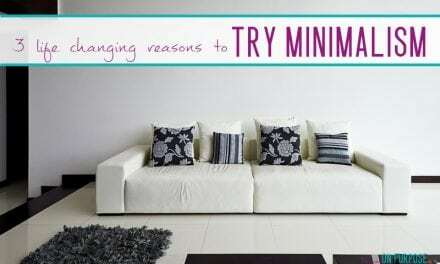 Try a substitution and change things up a bit. Who says tacos need to be hamburger? Try chicken instead. Some of our favorite recipes are last minute substitutions! Have recipes ready to go. You will want to have all your recipes for your menu in one location. Set up a binder now when you are making your first menu and create as you go. Simply make dividers for each section listed in step 2. This will make it even easier to find later. I like to keep my recipes in page protectors to keep them free of food spills. Tip: Jot notes down on recipes as you make them. Did you try something new? Make a note of what you did and if it worked. Variations of family favorites will give you even more meals to choose from. Now that you have everything you need let’s get your menu set up. This part is pretty simple actually. Start with the first day and check your calendar. Remember we want to match our meals to our schedules. If you know Tuesdays are your crazy busy nights, I would suggest a crock pot meal. All you need to do is set the table and you are good to go! My crock pot is one of the most used appliances in my home. I love having dinner cooked for me with little cleanup after. Dust that crock pot off and put it to work! Tip: If you know you will have to eat on the run, choose a dinner that you can pack into containers to eat in the car. Cheese/meat/crackers/fruit are a great dinner time meal with little mess. These can easily be eaten on the go and will keep your kiddos from yelling for fast food. If you have nights that are a bit more laid back, you may want to plan larger meals. This is a great way fill up a week quickly with leftovers. If Sundays are a quiet day in your house, then a roasted chicken may be perfect for you giving 1-3 leftover meals you can whip up later in the week. Chicken fajitas, chicken stir-fry, and chicken tacos are all great spinoffs that your family may love. Continue making your menu based off of your calendar. You can do a weekly or monthly menu whatever you feel will work best. Since I am a mom too, I totally understand that schedules can change in an instant. Make up games, sick kids, last minute field trips can all throw our menus out the window. To fix this I always have 3-4 meals ready to go. Toasted cheese/soup, mini pizzas (made on whole wheat bread), loaded baked potatoes all take minutes to make and are my family’s favorites. In the winter I do soup – this easy vegetable beef soup is ideal! I always make sure I have the ingredients for these meals on hand so I can use them whenever I need them. 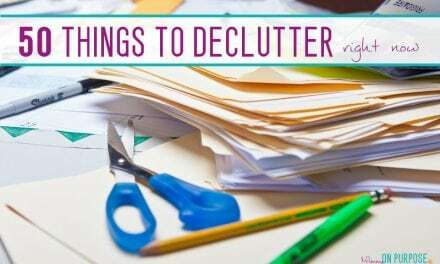 Take a minute to return to your list from step 1 and jot down a few ideas that will best fit your family. You can write these dinners down at the bottom of your menu as a reminder they are there if you need them. Step #6 Let the menu work for you! When I first started meal planning I cannot tell you how many times I would forget to check my menu. If you don’t look at your menu until 5 minutes before dinner, then you will be right back where you started. Get yourself into the habit now of checking your menu every day at breakfast. As the kids are eating you can look over what you have scheduled. If you need to prep things early, take a second to set the alarm on your phone as a reminder. Our days can get pretty crazy fast. Don’t think you will remember to put the chicken in the crock pot at noon, set your alarm so you won’t forget. Finally put that menu where you can see it. I like to keep my menu taped to the side of my cabinet. This ensures I will always see it and have a visual reminder to look at it each morning. Tip: Attach a pocket folder to your cabinet and keep all recipes in it for the week/month. This will save you even more time having everything you need right at your fingertips. I cannot say enough how much a meal plan has saved me. No more dinner time stress, no more wasted money on fast food. We now have daily meals on the table every day with little to no effort. Not only that but my grocery bill went down once I began using a meal plan. Cooking dinners based on what I had in my pantry and freezer kept me out of the stores and greatly reduced my impulse buying. 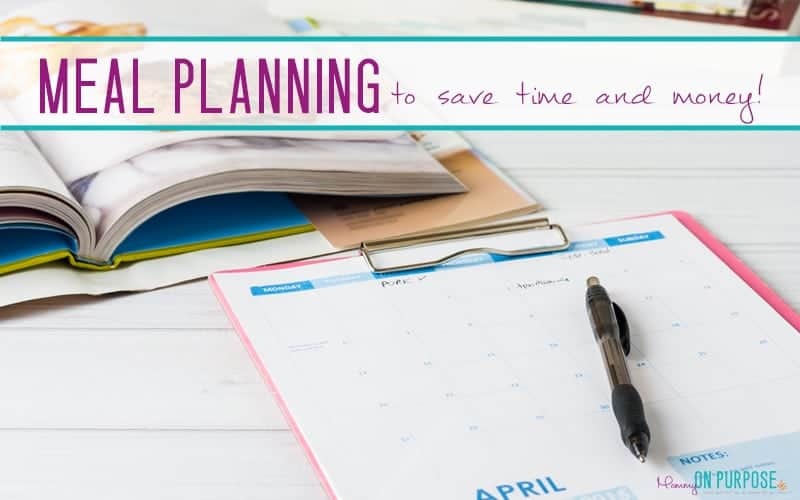 If you are looking to save time and money, then meal planning is the answer you have been looking for. Do a little work now for a schedule of meals you can enjoy all month long!